Mike and his crew after their day on the water. 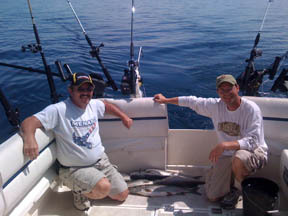 One Coho and lots of lake trout. Thanks for the great charter. Will try to do again next year. Thanks to (deckhand) Doug as well. 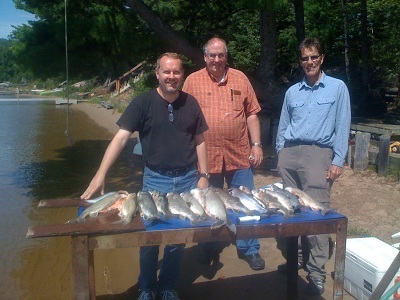 Jim’s gang after the first day of fishing. Thank you! We loved our trip – more importantly, the groom loved the trip! Back in the heat of Texas now, though Missing that cool breeze off the top of Lake Superior. 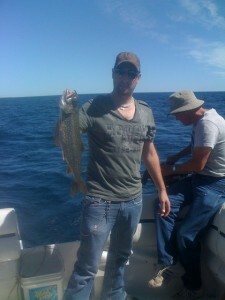 Bob’s son with a nice Lake Trout. He later caught a small mouth bass in Lac La Belle. 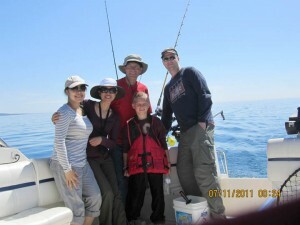 Thanks so much for your time on Friday with my family giving them a great fishing experience. In my job role I work very closely with our safety department so I was very impressed with your safety orientation and explanation of all the safety features on the boat. 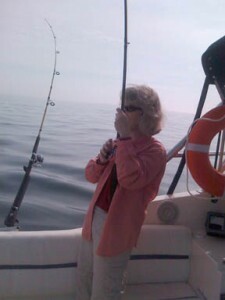 Janice, Kathryn, and I truly enjoyed our fishing experience aboard the “Fishin Mission”. Definitely one of the highlights of our vacation. The salmon were great on the grill that evening. Hi Brian! 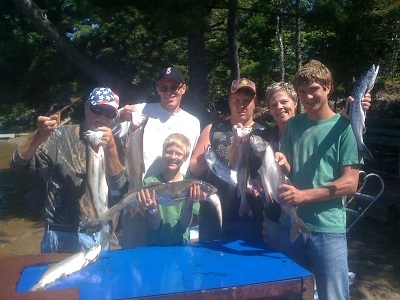 We had such a great time fishing last summer! Tim and I are looking ahead at our schedule and hoping to be able to book another trip with you! Sharon and I had one of the best times we have had for awhile. I shipped 30lbs of lake trout home and though they were frozen everyone had enjoyed some fantastic lake Superior lake trout. We have recommended your service to anyone who has been interested. Just wanted to let you know I drove back a day early to use my day off to smoke the fish. I used a pickling spice brine overnight, let dry, and smoked at 180 deg. for 7 hours. An old captain in Grand Haven suggested a light brush of maple syrup just before done. The fish was fantastic! I can’t wait to share at work. We all enjoyed the time we spent out on the water. The fish tasted great and your son and you both were very enjoyable to be with. We will surely see you again next time we are up that way. Great trip, hope to get back one of these years! Wow! What a way to celebrate my birthday! 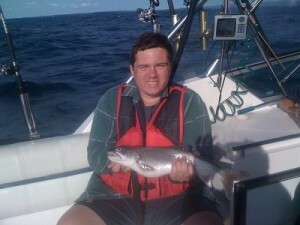 Couldn’t ask for better weather or a better fishing experience out at Stannard Rock. Not only did I catch the fish of a lifetime with that thirty-pound Laker, but diving off the boat at the lighthouse was the icing on the cake. 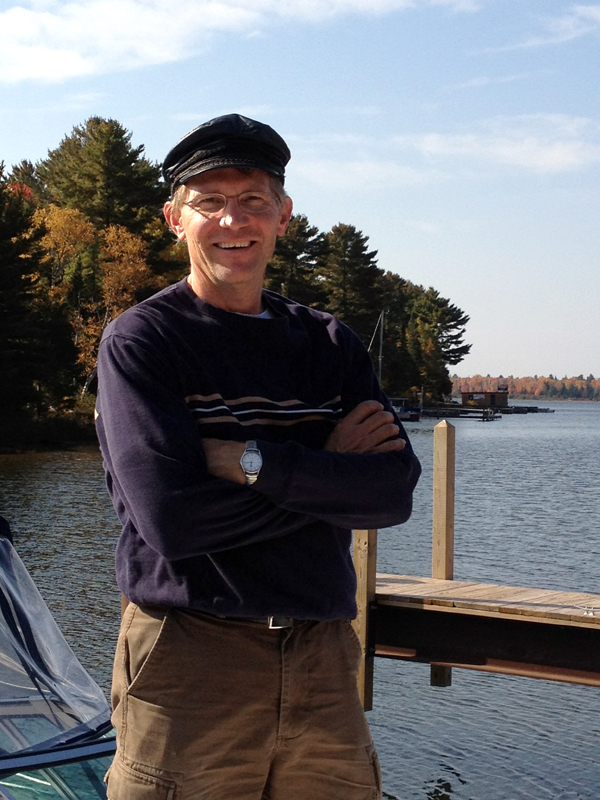 Your pleasant personality, knowledge of the sport and the surrounding area, and many fish stories all helped to make the trip enjoyable – oh and I don’t want to forget the delicious smoked Lake Trout snack. 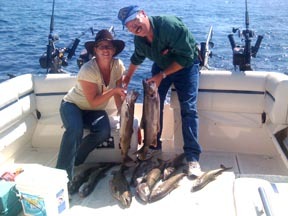 “Thanks Brian – for a great day of late September lake trout fishing. If you ordered the weather it could not have been better. Sunny skies and calm winds made for some comfortable time on the water. 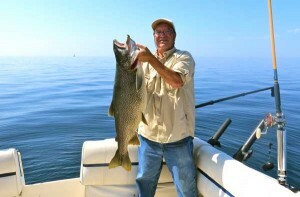 The Fishin’ Mission is a great boat to get out on Superior in and the lake trout were biting pretty good with several over 6 pounds. Mike was delighted with the catch – for him a first! 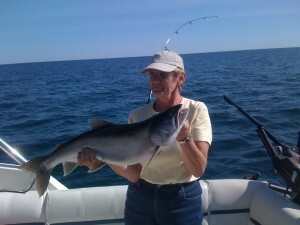 Which is best for fishing for Lake Trout? Prepare now for next summer on the water.